Whether you enjoy it or not, measuring the success of your content marketing is crucial to its success, because you’ll use the information to inform your future strategy. According to the 2016 B2B Content Marketing Trends report from Content Marketing Institute and MarketingProfs, B2B marketers rate these metrics as important: sales lead quality, sales, higher conversion rates, sales lead quantity, website traffic, brand lift, SEO ranking, customer renewal rates, purchase intent, and subscriber growth. While all of these metrics are important to evaluating a campaign’s success, there are some that content marketers specifically should be considering for their work. Let’s discuss them in detail with examples and resources to make the process easier. Conversions are desired actions people take with your content. For instance, filling out a contact information form to download a whitepaper would be a conversion. An “average” or “good” conversion rate varies by channel, industry and organization, but Teknicks reports that for inbound marketing, a good average is 1-3 percent. So for every 100 clicks to content on your website, 1-3 people will actually convert. Conversion rate is good to know because it gives you a benchmark metric of how well your content is actually turning into information you can use (like an email address or sales lead). TOOLS TO USE: Google Analytics works great for this. SEOChat has a good article on how to set up a conversion funnel in Analytics. If you want to get more detailed, you can set up conversion funnels and goal flows as well, as Google Support outlines here. 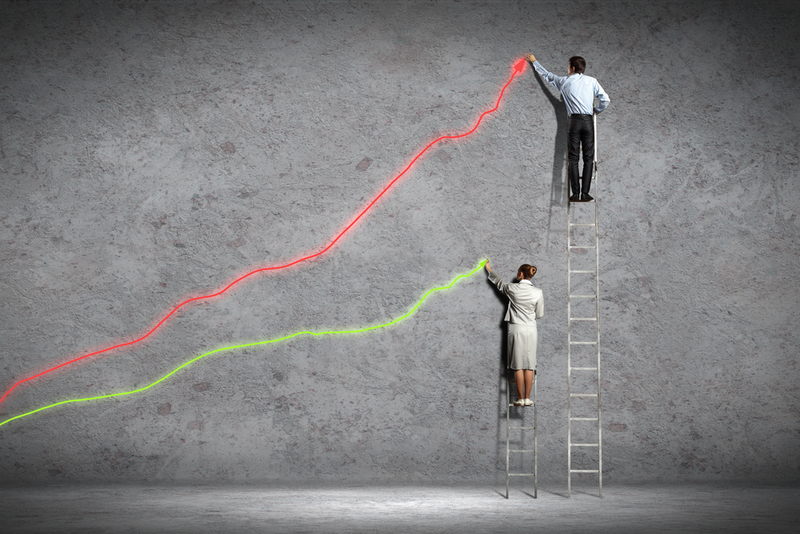 Also, check out this ClearVoice post on 13 ways to boost your Analytics configuration. Above is a screenshot of a website’s data in Google Analytics, where the user set a conversion goal of three pages per session (the two columns on the right). 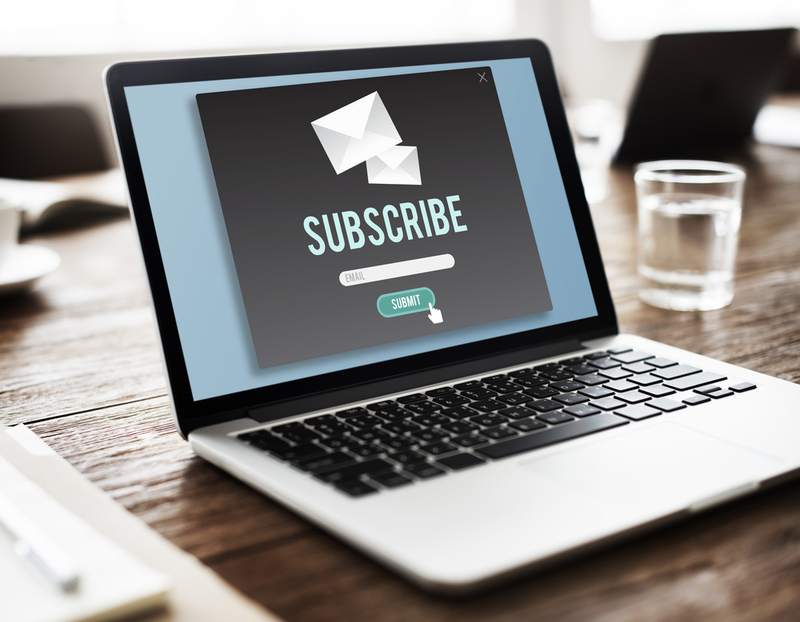 If one of your marketing goals is to grow your email subscriber list, then subscriber growth from content is an important metric. Subscriber growth is how many new subscribers you’ve gotten from a specific campaign or call-to-action form. Many companies use pop-ups, email lead gates or CTAs within their content to get people to sign up for their mailing list. From there, mailing lists can be used to promote paid products or paying advertiser campaigns (for publishers). If you aren’t already tracking this, get your initial subscriber list numbers immediately and keep notes (in a spreadsheet or Evernote is fine) of what you’ve implemented, so you can see what made the biggest impact on your subscriber growth. Many services will allow you to use custom forms for each piece of content, so you can see which content earns you the most email subscriber growth. As a side note, if you’re not sure how to capture emails, Bloom is also a reliable WordPress plugin that enables you to build highly customizable WordPress forms. TOOLS TO USE: To capture and track subscriber growth through in-platform analytics, try a marketing email provider such as ConvertKit, MailChimp, Emma and Constant Contact. Tracking sales leads works closely with tracking conversions and email subscribers, as both conversions and email subscribers can count as sales leads, depending on what you are selling. However, if you are a publisher, an email subscriber won’t usually be seen as a sales lead unless you are targeting advertisers. Sales leads as metrics are important to content marketing because they validate your work with real, tangible people that the sales team can go to sign up as clients and gain revenue. And, as you track a sales lead through the purchasing funnel, you can trace their initial direct content with the company from content marketing, which can help prove ROI for content. Content marketing does have real implications for sales: a 2014 study covered on Adweek found that companies with blogs on their website generate almost 70 percent more sales leads than websites that do not. TOOLS TO USE: Sign up for a CRM with embeddable sales forms, such as Salesforce. 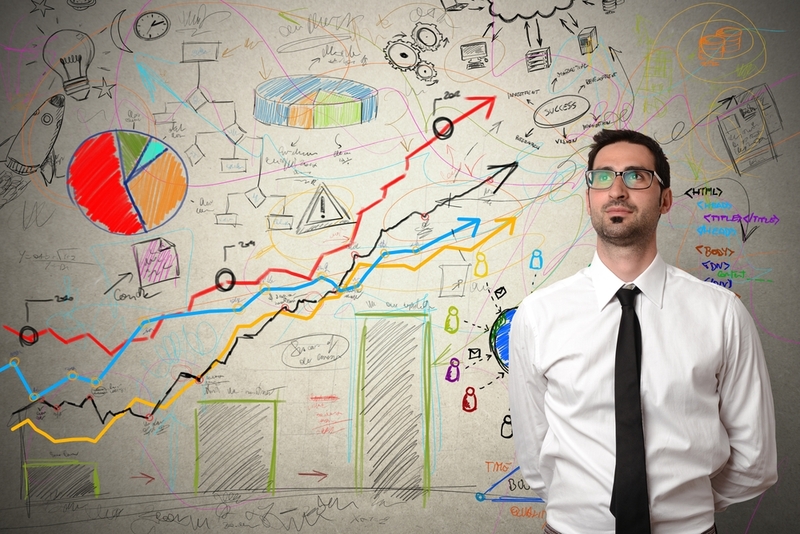 Not only does it help you gather sales leads, but it shows their journey through the process. Conversion rate, email list subscriber growth and sales leads are all metrics that surround the connection process with your audience, whereas the next metrics we cover concern online exposure and visibility. There are tons of metrics you can track in website traffic and SEO metrics, but because they are both sides of the same coin, you can track them using the same measurements and tools. This could be a post on its own, but there are some key metrics that should be of interest to most content marketers. Many experts (like FiveThirtyEight) have argued that you should ignore website traffic and focus on things that “actually move the needle,” such as sales leads or conversion rates. While it is true that a website with small, high-quality traffic can have a higher conversion rate than a larger website with an unqualified audience, traffic is still important, especially if you are a publisher. Track website traffic as unique pageviews, which are unique users’ views of pages on your website. Compare monthly traffic in Google Analytics to the same month the year previous and then the previous month (so July 2016 would get compared to July 2015 and June 2016). This gives you a good idea of both how your traffic is doing over time and in the last 30 days. New visitors: Do new pieces of content on your website correlate with new visitor traffic? Referral traffic: Is your traffic coming from inbound marketing efforts, such as a guest blog post from a company thought leader? Social media referrals: Are social shares of your content leading to increased visitors? Inbound links: Are more people linking to your content in their content? Are journalists using your content as a reference in their pieces? On-page errors: Does your content have outdated links that need to be fixed? TOOLS TO USE: Google Analytics is the gold standard for tracking metrics like visitors and referrals, whereas SEO tools like Screaming Frog, SEMRush and Searchmetrics help you track incoming links and 404 errors (broken links). Finally, content marketing has a significant impact on brand sentiment and what is being said about your company online; this is called “brand lift.” According to Think With Google, brand lift is your audience’s perceptions and behaviors throughout their purchasing journey. If content marketing campaigns are creating a higher awareness and fuzzier feelings toward your company as a whole, it can have a lasting impact, such as a great likelihood to convert in the future or recommend the company to a colleague. Content marketing can be used to target influencers, potential customers and to reengage existing customers, all of which can increase brand lift. TOOLS TO USE: Use tools like MuckRack, Social Mention and ClearVoice to see what influencers are talking about and how they’re sharing your content. This provides valuable opportunities for your company’s community managers and salespeople to follow up, engage the users, and create even more positive brand sentiment. 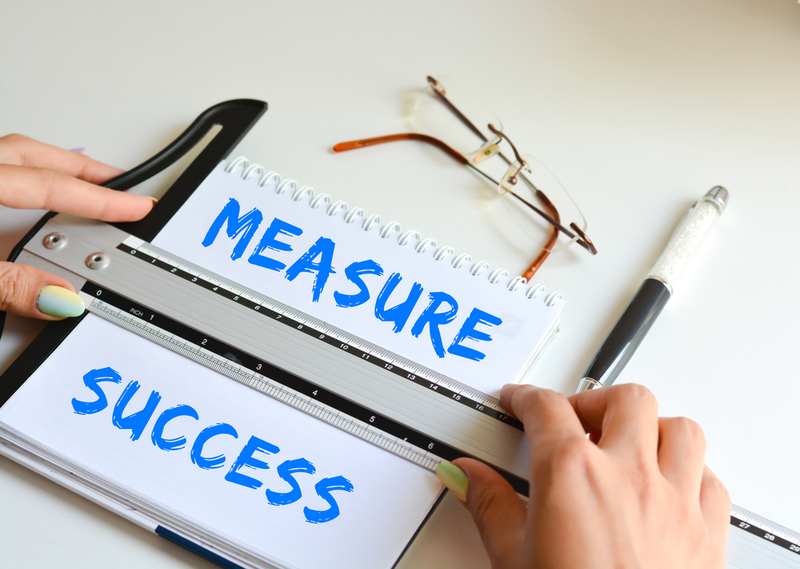 While there’s so much to learn and break down about the above metrics, having set goals for these metrics in place can help content marketers not only prove their ROI, but also help the marketing and sales teams work collaboratively to create campaigns that positively affect the bottom line. Kelsey Jones is executive editor at Search Engine Journal, founder of the first and only news content marketing agency, StoryShout, and a writer and digital marketing consultant. Follow her on Twitter. With the overheated attention given toward influencers, how can you make sure you influencer campaigns are really hitting your goals? Get tips on tracking KPIs without relying on influencers’ un-vetted vanity metrics.